Henry Steele Commager died March 2, 1998, he was 95. His obituary and selected contents of his Memorial Service are here. The Memorial Service for Henry Steele Commager took place on May 9, 1998 at the Johnson Chapel at Amherst College, in Amherst Massachusetts. 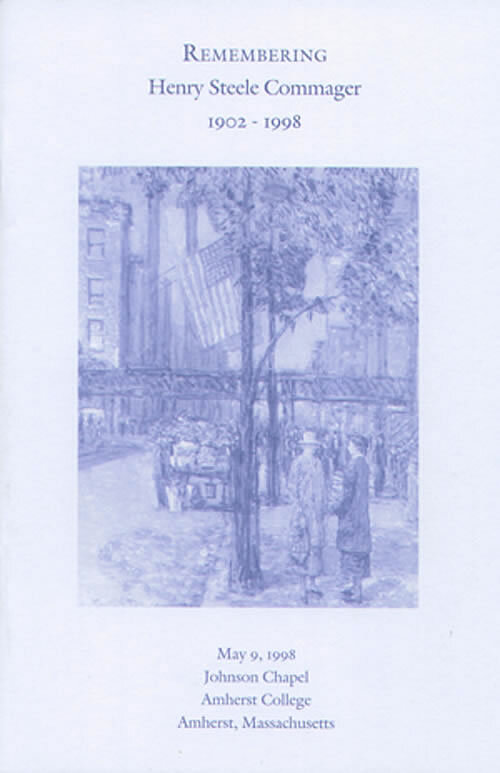 The image of Childe Hassam's Flags on the Friar's Club (1918) comes from the Amherst College Museum. The painting was a gift to the college from Professor Commager.